Punk rock and fragrance, huh? What would a punk rock perfume smell like? Super glue, urinal stones, stale beer, dogs and a hint of patchouli? A fragrant equivalent to Zoolander’s fashion line “Derelicte” sold at Hot Topic? Growing up there was a time when fragrance was frowned upon, teenage year where future aspirations culminated on securing a spot in a squat, protest, being obnoxious, pilsner and overall Staatsverdrossenheit. Now, that did only last as long as the female species became more relevant and the science of pheromones became more interesting than convening with your pack of peace punks. Fragrance and the sense of smell have an effect that cannot be overrated, no matter what your preferences may be. Scent is omnipresent – it affects moods, brings back memories, affects the limbic system significantly, trigger emotions, sets the scene and can enhance your personality. Fragrances and the interaction between your olfactory senses and hippocampus can also just be plainly enjoyable, i.e. conjuring a person due to a smell – it is not for nothing that the loss of smell, i.e. Anosmia, is often linked to depression and, reversely, downcast peeps often lack a lack of smell sensation. How are you tackling the notes pyramid? Are you into top notes or base notes? How about ones that you love the top notes about but despite how it mixes with the base notes? Do you make sure that your fragrance is wearable throughout the day and that the notes dance well with one another? Do you pay attention to the ingredients in a day and age where most fragrances are pumped full of aroma enhancing synthetic chemicals and big fake fruity notes? Do you assess the “drydown” of the scent once the top notes have lost their allure? Do you pay attention to silage, longevity, depth, projection and uniqueness? I am sure you do, even if you are not consciously aware of it. Not unlike wine, a good fragrance can actually be something quite simple and basic. Expensive does not necessarily equal quality. The difference to wine lies in the fact that with wines price is usually proportional to how it is made while with perfumes it comes more down to the ingredients. Or it can be intricate and complex and unfold its true character by playing the claviature of notes – a smellable symphony of sorts. Does the intro entice you to listen to the whole thing? Does it move you emotionally? Does contact with your skin enhance it? Let’s not forget that in essence, dealing with scents is a chemistry experiment, which is why you should avoid the cardboard strips in department stores and rather use the main component of the operation, i.e. your skin, as a determiner. Is it linear, i.e. does it retain its character? Does it develop over time from the top notes (citrus fruits and aromatics) at first contact via the mid-notes (floral, green, fruity, spices) after a few hours to the base notes (wooded and balsamic), which is what is left at the end of the day, or merely defined by its volatile top notes with hardly anything left behind once they have dissipated? Packaging can and more often than not plays a role. Aesthetics count more in the realm of fragrances than they do in other areas. As do ingredients, however, the mere fact that they were sourced by having had to conjure some sort of alchemy in an arcane manner is in itself not a selling point. However, the focus should always be on the content. Some scents might be your go-to because they subliminally evoke memories and associations. When it comes to olfactory preferences, we enter a complex area. Fragrances and scents are invisible yet with smell being ones of the most prominent senses directly connected to limbic system, an important part of you that does not lack effect – to others and yourself. Fragrances usually come in the following categories; Eau Fraiche (the most diluted version), Eau de Cologne (with a bit higher concentration, still light), Eau de Toilette (usually a spray with the concentration upped again and with pure essentials dissolved in alcohol), Eau de Perfume (usually unisex to describe variations and concentrated in a manner that usually lasts five to eight hours) and finally what is in Latin referred to as “per furnum” (“through smoke”) – with pure perfume essence as a basis and slightly oilier in nature. Designer fragrances are plentiful and usually produced for a mass market, which results in cheaper ingredients being used to ensure consistency for volume production. The more niche ones tend to accept the risk that it might not be for everyone yet confidently follow their direction and trust in being discovered by the aficionado. Ultimately it is up to you and your preferences as it is a unique experience, which is why many of the scents you have accumulated as gifts are rarely if ever used. Not entirely sure if you are familiar with Rei Kawakubo and her often revolutionary designs and fashion, but if you are, chances are that you would be equally intrigued about her explorations in the world of fragrance. Enter Comme des Garçons parfums. If you are familiar with Rei Kawakubo’s oeuvre, which is mainly channeled through the world of wearable fashion, you would know that her style is elegant, subversive and deliberately avant-garde and more often than not provocative, which is an approach that is not neglected when it comes to their scents. Remember when I talked about the three-phases perfumes usually go through? Well, Comme des Garçons defies that classical mold and aims at reshuffling preconceived notions and stereotypes and add their own melody to the symphony. All of their fragrances are marketed as unisex and personally, I like that they have a feel to it that is reminiscent of the 1980s, my favourite decade, with something that reminds me of a highly integrated mélange of medical potions mixed with spices. Exotic yet utterly familiar. Futuristic yet altbacken and postmodern. Deep, complex, abstract and dense. Interesting at the very least. This is a bold and sophisticated one with the main accords that coming to mind being smoke, woods, leather, liquorish and a hue of burnt spices, predominantly black pepper, which make it a sensual scent that amplifies the darker neither regions of your personality. Not unbefitting of its name. I prefer to wear it in cooler climate and like its longevity and three dimensionality, which it unfolds after the drydown and maintains its sillage punch. I can see how Black would be perceived to be “challenging “ to some people, not in an offensive way, but then again this one is not made to please the mainstream, as in white collar club goer. I find it utterly wearable. Now, the flacon of this beauty is something you are very likely to keep in your collection even after its contents are long gone. The character is that of an oriental floral fragrance, with an emphasis on fruity, citrus notes and floral hues – kind of the counterpart to Black. as it is less of a quirky trailblazer and more palatable. 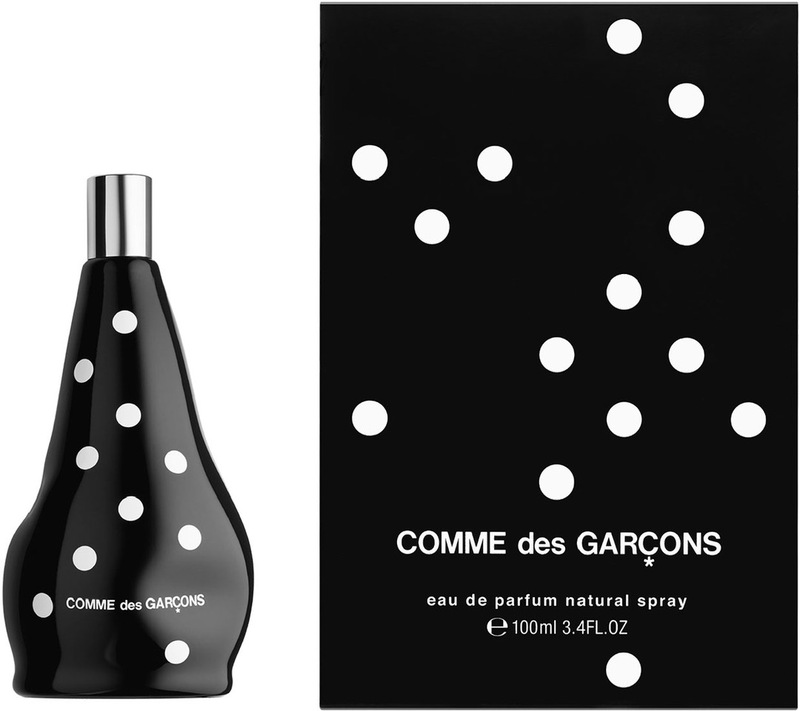 Comme des Garçons’ most recent creation comes in an extraordinaire concrete bottle, which is an appropriate introduction as it is a smell that hits your first after application. What follows it a myriad of interdependent hues ranging from warm spices via sandalwood to balsamic and woody notes. Concrete is based on an interesting concept and certainly hits the mark with its edgy and industrial presentation and play with expectations. A solid and fascinating fragrance that can be comfortably worn yet is more on the experimental side of things. 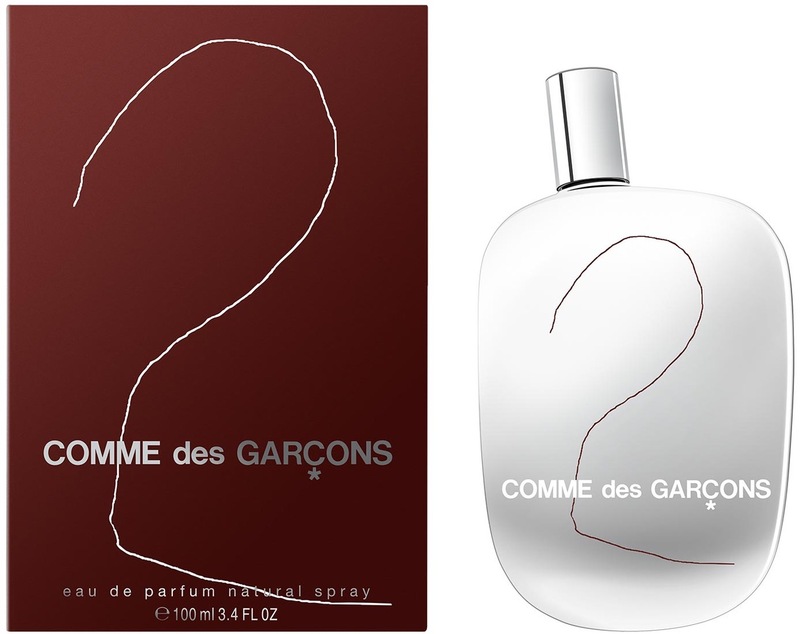 Comme des Garçons 2 is one of their flagship scents: An aromatic mélange of fizzy light and shadows with metallic aldehydes, spices, hints of ink, wood and amber all playing different roles and feeding off each other. Good longevity that is needs to have top unfold its theatrical, sensual non-linear notes, not unlike a sunrise through misty woods. 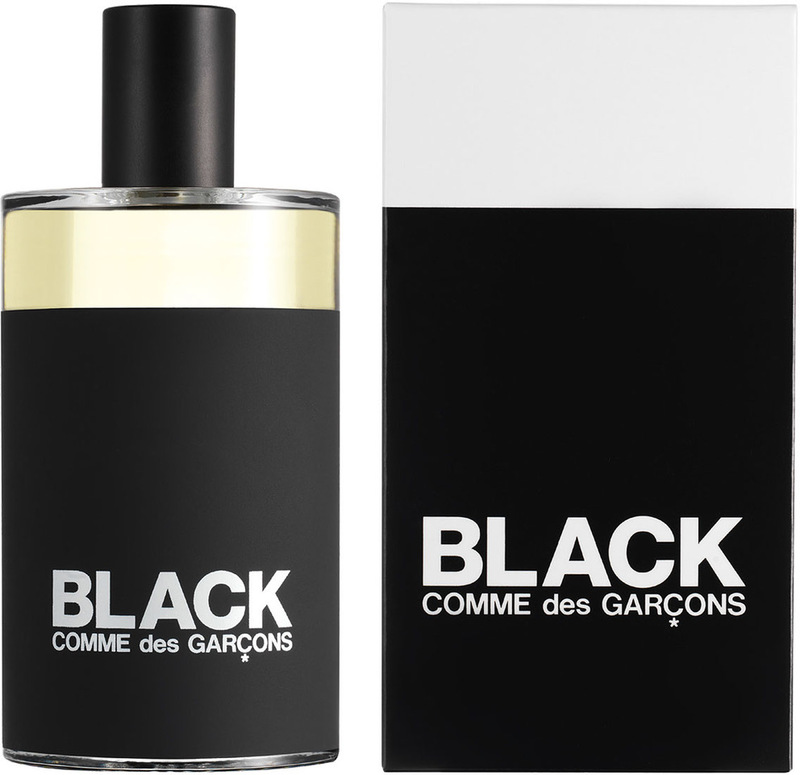 I find 2 to be utterly original, charismatic and hard to classify as it well blended and has a lot going on – it is not for nothing more of the more known fragrances from Comme des Garçons.